Moreno Valley California. He was the kind of person that was an exemplary friend; always there when you needed someone, and a person who even if you just met, had a feeling as if you were the best of friends for years. 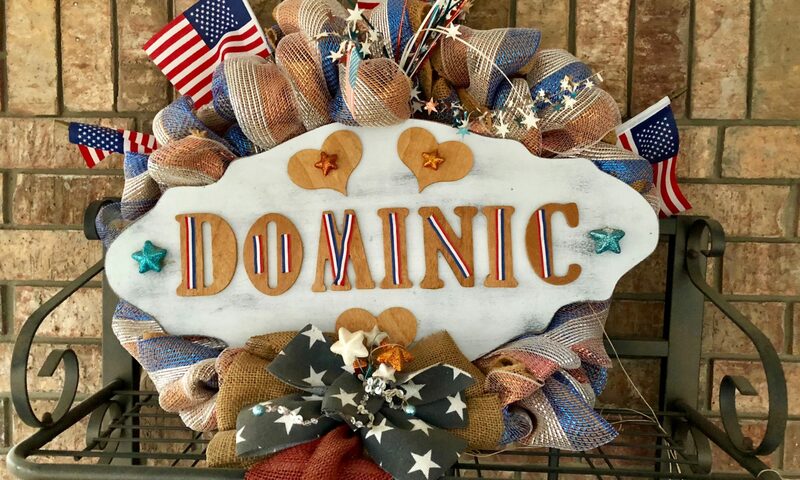 Dominic was very active in the community volunteering for local Fire stations where he participated in drills, performed administrative duties, and went on emergency calls with the Fire Department. In addition to this, Dominic also volunteered at the local TV station, MVTV-3 where he eventually was hired to a part time position. Dominic has been recognized on numerous occasions for his work in the community receiving 87 letters of recommendations along with 111 school and work award certificates; some of which were awarded to him by former President Bill Clinton and Senators Diane Feinstein and Barbra Boxer. In 2002 he also received Volunteer of the Year Award for over 1000 hours of community service in Moreno Valley. In 2006, Dominic became a 9-1-1 dispatcher for the Riverside Sheriff’s Department. He had a calming presence and could calm the most frantic caller to the Riverside County Sheriff’s dispatch center. Deputies felt in good hands whenever Dominic was working and he had a special call sign that he used when he started his shift to let the deputies know that he was looking out for them. As much as Dominic loved being a dispatcher, his ultimate goal was to become a helicopter pilot for the Police Department which was driven by his passion for Law Enforcement. On the morning of July 12th, 2012 while on his way to work, Dominic was killed by a reckless, unlicensed, uninsured driver who also happened to be in this country illegally. He had a prior Felony conviction, 2 DUI (probation granted on both) and had been deported back to Guatemala on a precious occasion. The killer of Dominic was charged with a Misdemeanor Vehicular Manslaughter without Gross Negligence and because of a deal made with the presiding Judge and DA, received only 9 month / 5 years probation. The Illegal Felon served 35 days in a local Jail !!! He was then handed over to an ICE Detention Center. I was not to let my sons death be in vain and I refused to let him become just a statistic. For 1.5 years, my Fiancé Anthony and I became a weekly presence at the Immigration Detention Center, wrote letters to the Judge and attended hearings or just sat in the lobby to let people know we were looking for justice. The killer of my only child was finally deported 1.5 years after his arrest. Because of his work in the community, Dominic was honored posthumously with the Mayoral Proclamation recognizing his service to the city of Moreno Valley on December 18th, 2012. In 2013 I accepted the Presidential award from CPRA (California Public Safety Radio Association) in my sons honor and in addition to this, Riverside Sherriff’s Department created the Dominic Durden Top 911 Dispatcher Award that is handed out to the best in class for every new class of 911 Dispatchers. Since Dominic’s senseless and avoidable death, I have been busy going to Washington Dc to testify in behalf of Dominic and other victims killed by illegals. I have also been on numerous Radio and TV shows sharing my sons tragic story and have met so many other moms and dads who lost a precious loved one because of the same issue. We all now belong to a “club ” no one wants to be a member of. Together we are fighting to have our Government make sure all of your families are better protected. Thank you from the bottom of my heart for the love and support.